Have you ever been addicted to a beauty product that you want to use it all the time? Well, recently I found myself badly addicted to the Herbal Healing Clay Masque from Yours Essentially. Besides Rhassoul Clay, I wasn’t that keen to try out the others from the shop until I was sent a sample pack of this masque. This is a dry mask mix made from white kaolin clay, bentonite clay and natural herbs, and is beneficial for inflamed skin and surface blemishes. Because I was still suffering from aftermath of my acne breakout, I thought I’ll give it a try and I was so in love with it that I used it everyday for a week until I ran out of the clay from the sample pack! The clay masque smells like something straight out of the herbal medicinal hall but I like it very much!Â I think it did something to soothe my face from developing further rashes and breakouts and although it didn’t get rid of the acne marks, but they subsided quite a bit with my daily masque-regeneration routine. What I did find was that this Herbal Healing Clay Masque definitely helped my right arm from developing further little pimples! This is a house blend from Yours Essentially and I realized that they use white kaolin which is good for its exfoliating and cleansing properties. Known as the mildest of all clays and suitable for sensitive skin, kaolin clay is high in calcium, silica, zinc and magnesium, which are beneficial for oily, blemished skin by helping to heal blemishes and inflammations, as well as preventing new ones from forming. 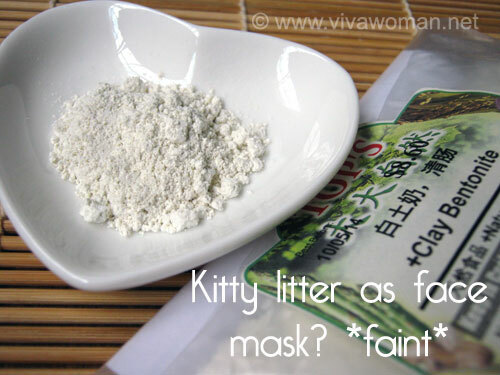 At the same time, it also rejuvenates the skin.Â The second ingredient on the list is Bentonite Clay which helps to adsorb toxins and impurities and has the ability to attract and soak up poisons on its exterior wall. White Kaolin Clay, Bentonite Clay, Certified Organic Beet Root Powder, Certified Organic Comfrey Root Powder, Certified Organic Burdock Root Powder, Certified Organic Calendula Flower Powder, Certified Organic Marshmallow Root Powder, Certified Organic Slippery Elm Bark Powder, Certified Organic Chickweed powder Certified Organic Chamomile Powder, Certified Organic Lavender flower Powder. Hi, when you say you have little pimples on your right arm, do you mean you have those like clogged pores kind? I have lots on both my arms and some on my back. They leave a lot of black marks on my skin. I wonder if this mask can help me get rid of them. pf1123: Yup, they are close to those you described. You can try since it helps with skin blemishes. If you compare it with the rhassoul clay, what is the difference? Ann: Hey, that’s a good question. I find rhassoul clay a tad more drying than this after usage as a masque. Also, rhassoul clay is smoother in texture whereas this is grainy and hence, the herbal healing clay masque is good for exfoliating too. I could use rhassoul clay daily as a cleanser in the morning. For this, I tried it continuously for a week to clear out my blemishes but now, I’m going for thrice a week at most. Dee: I think you may like this. I’m going to post an interesting recipe tomorrow about clearing acne. Keep a lookout for it too. If you have severe acnes on your face to the point that it is red, I would advice you to see a dermatologist instead of just using the clay mask. 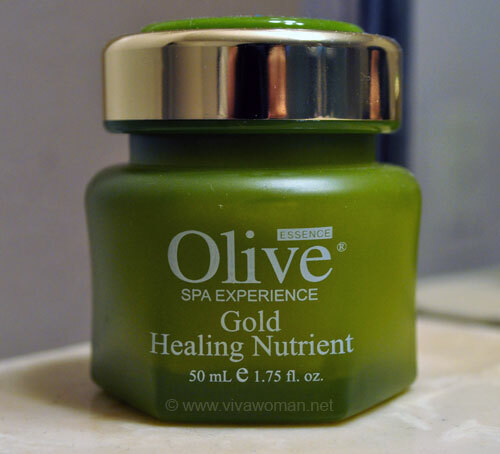 This is because it might dry out your skin on the surface but does not solve the problem of over active sebum glands. The doc might prescribe accutane. I went to see one too a few months ago due to a sudden bout of hormonal acne. My chin, neck and lower part of my face has got patches of clogged pores. pf1123 is right. It could be something internal, like raging hormones too. Btw, I was told that chin acne is related to your ovaries or menstration cycle. I used to have it almost every month. I also didn’t understand why my cheek acne took so long to heal but fortunately, after about 2 months of battling them, they’ve subsided. And the worst thing is I can’t stop squeezing them even though I know they’ll leave marks. But either way, there are marks! 😛 Hope you clear up your acne soon. Yes. Those nasty hormones. I was prescribed with Nimegen, which is a dupe of Accutane by the doc. I started to take evening primrose oil as well to balance my hormones. So, my acne is now controlled. But still some clogged pores here and there. I hope I don’t have to take the med once I’m done with this course. And I have so much hyper-pigmentation to get rid of! pf1123: I’m glad evening primrose oil did something to balance your hormones. I didn’t get much results consuming them but I like the oil on my face and to calm the acnes. Oh those scars are annoying! I didn’t have so much problems clearing them when the marks were on my forehead or chin but they’re sooo difficult to get rid of when they’re on the cheeks! Jeanna: Hey, what a coincidence! I was thinking about this one a couple of hours after I posted this. I remember someone sent me the list to look at and it sounds like this masque. But I prefer to use this cos it’s 100% natural ingredients. Anyway, I don’t see Queen Helen masks where I am based too. What is the dosage of EPO did you take? I have to take 2,000mg before there are any visible effect. And my monthly cramps and backache is reduced as well. Need to take at least 2 months though. I tried 3,000mg before and its over dosed. The effects of over dosage is just very soft stools. But I cut back. pf1123: 2000mg? Ah…I tried only 1000mg cos that’s what’s recommended. Maybe I try to increase the dosage and see if there’s any effect on my PMS. Thanks for highlighting this to me. Meanwhile, I’m drinking milk for my PMS and it helps. Hmmm… btw, what kinda wetting agent did you use for the clay mask? Water? Dee II: Mineral water. Actually normal water can do but since it’s a mask, mineral or distilled water would be better. Sometimes I try with my rose hydrosol. Yup, 2,000mg works for me. You’ve got to try it out for a while to see. If not, there’s no loss besides the investment in the bottle of EPO. I’m recently trying the Brand’s Chicken Essence one. There is Borges Oil and Chicken Essence in it. I feel more alert and less tired as I take this daily. However, for 4 capsules there is only 900mg of EPO. I’m thinking of topping off with GNC brand of EPO which is purely EPO. So, maybe 2 capsules of Brand’s EPO and 3 500mg GNC’s. pf1123: Wow you’re good! I’m terrible with supplements. I never complete them. After awhile, I just find them a hassle or simply forget about them! I’m sorry. Its Borage Oil. Not Borges oil. Thanks.. which one is more effective though? Water(mineral or distilled) or hydrosol? Dee II: Hard to say cos I only use hydrosol when I run out of mineral water. I think they’re about the same but perhaps hydrosols may have some bearing when it comes to long term usage. However, I prefer mineral water for cost reasons. i’ve tried it today for the 1st time. 5 star! 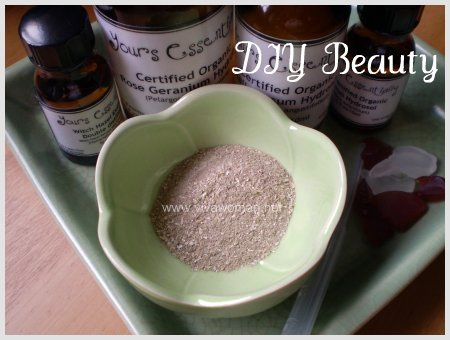 Kaolin and Bentonite based masks do wonders for oily skin and for oil control. I have tried Body Essentials Honey & fresh lemon mask, the princess rose mask and sandalwood and saffron mask. They get 5 stars and 2 thumbs up!! Skin is balanced, toned and there is a great silky smooth texture to die for. I bought these products from Takashimaya Bath Dept. LV: Wow, you’re really a huge fan of their products. hi, i would like to try out this mask but upon clicking the website, it says yours essentially has closed down alr?? hi i m looking for this product.. noticed they no longer produce is issit? 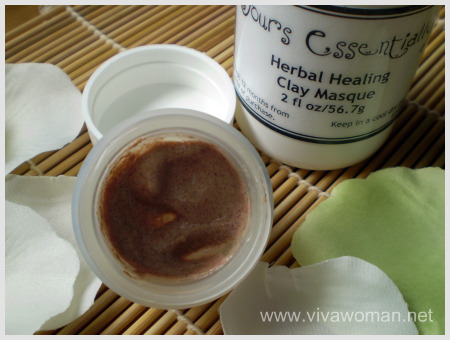 do u know where to get similar herbal clay mask?